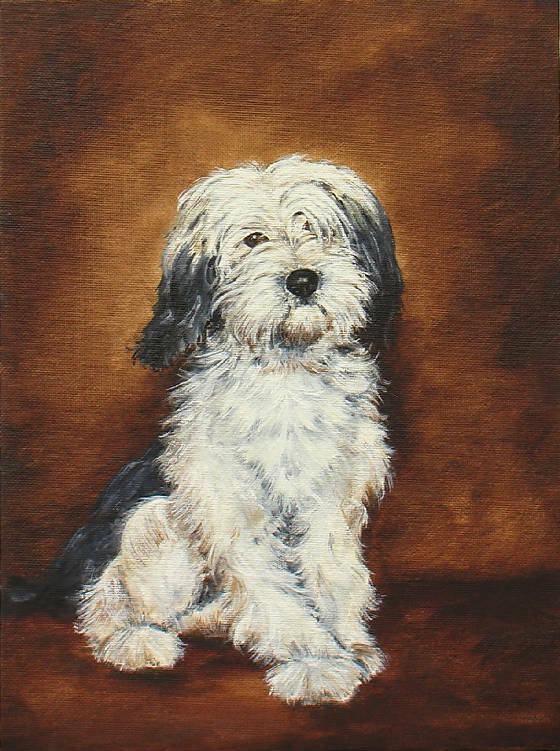 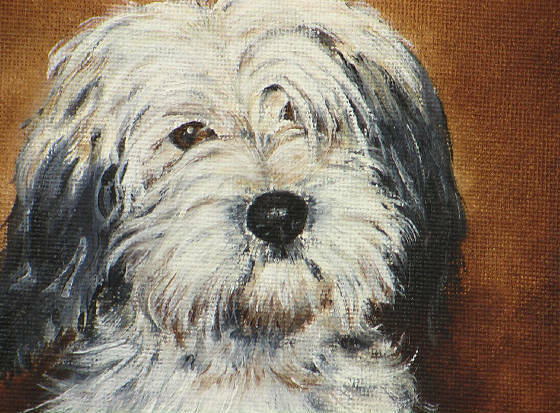 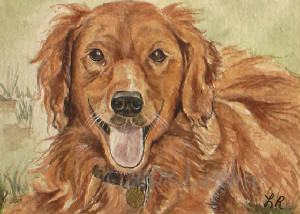 I am more than happy to discuss custom portraits of your pet. 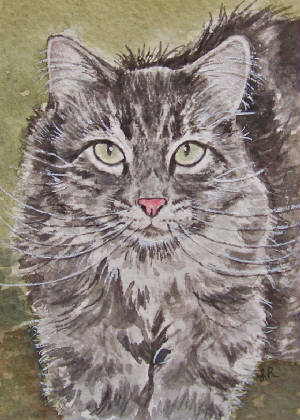 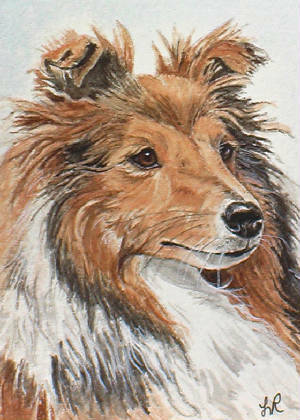 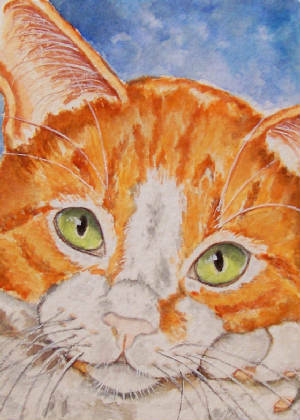 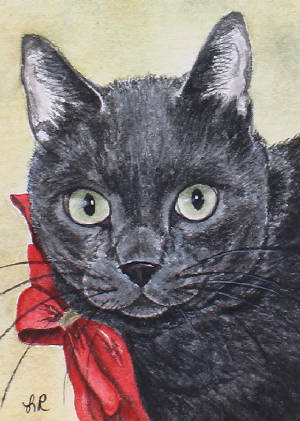 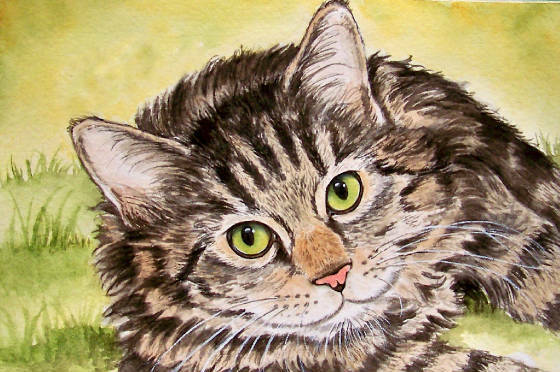 Although most of the portraits I do are miniature ACEO sized, I will also do up to 9 x 12 as well. 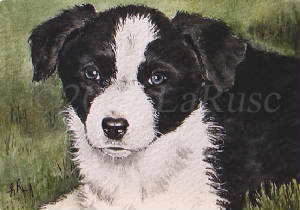 Please contact me by email to discuss current prices. 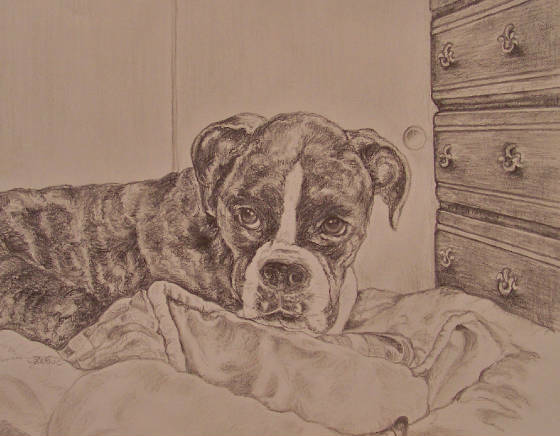 Bella, done in graphite, size 8" x 10"
This is a simple pencil sketch. 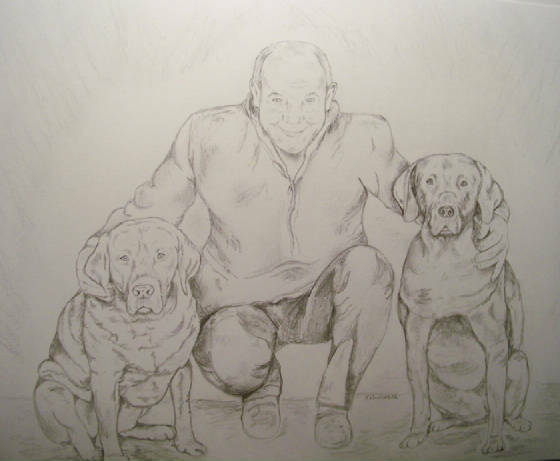 Both of the doggies in this pic have crossed the Rainbow Bridge. 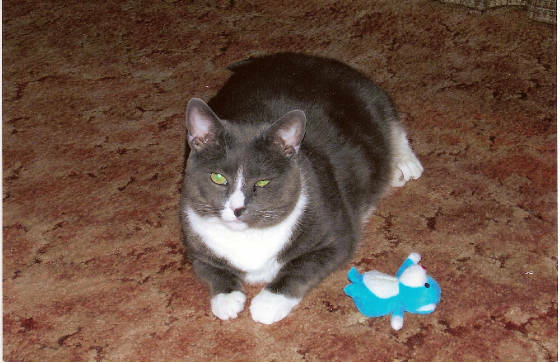 Below is Dusty, an affectionate, lovable kitty with one of his favorite toys. 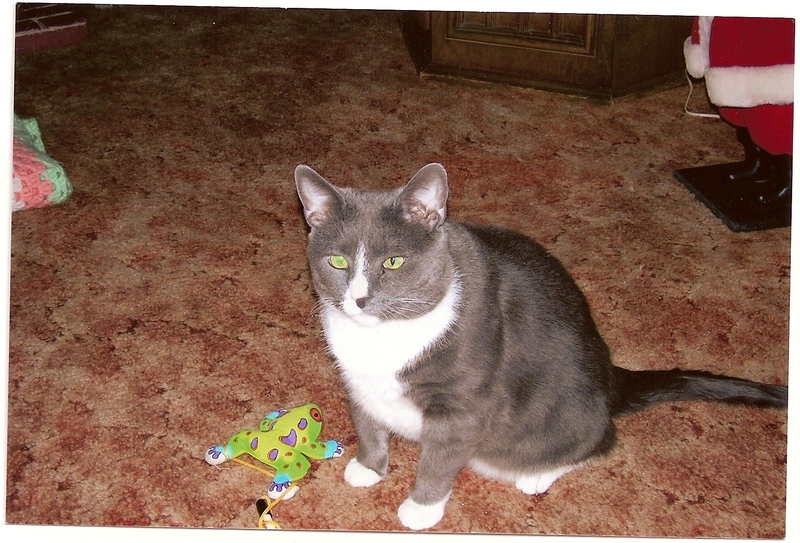 These are Dusty's reference photos. 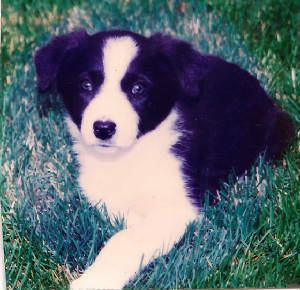 This little darling's name is Tanger. 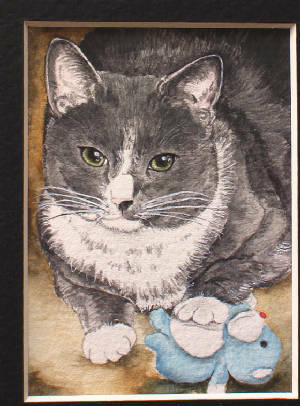 ACEO sized. 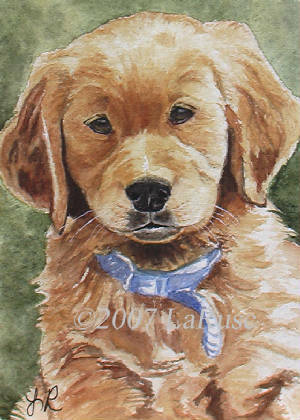 This little girl is the "grandpup" of one of my amazingly talented artist friends. 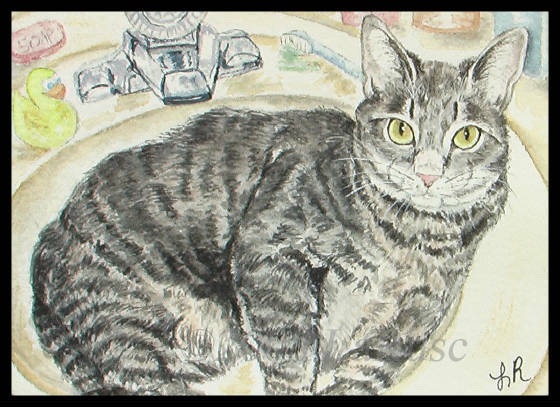 Above her is the artist's other grandpup, Jake, and above Jake is her grandkitty, Roxy. 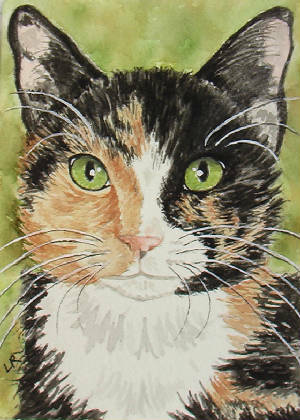 A beautiful kitty that has crossed the Rainbow Bridge. 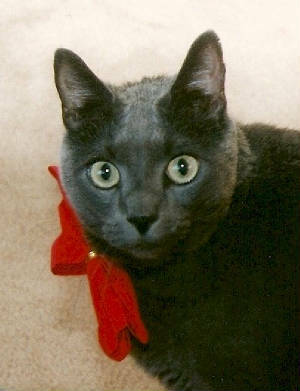 This is Fred, a beloved kitty who has crossed the rainbow bridge.